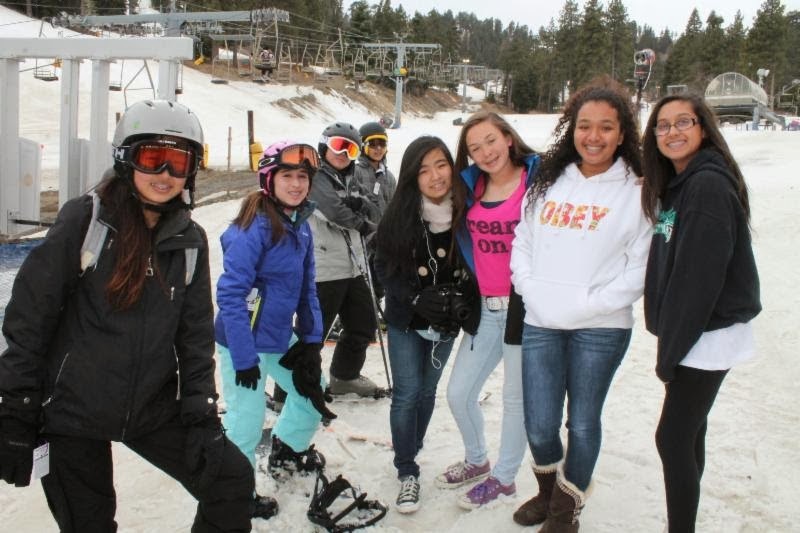 The annual junior high ski trip was a huge success despite the less-than-stellar snow conditions. Congratulations to the North Tustin Cheer Team for their big win in the CHEER PROS CalIfornia State Cheer & Dance competition held in Ontario on Sunday, January 26. The hardworking and spirited team had no trouble rallying a cheer for a First Place finish in their division. Way to go, Eagles! The Fairmont Technology Team will be holding a series of parent informational sessions regarding the junior high roll out of iPads in the 2014/2015 school year. Please plan to attend your next campus FPA meeting for more information. If you are unable to attend, campus webinars will be held to provide the information discussed at the on-campus sessions (dates and times to follow). You may also learn more by visiting the PrepTEC website (http://www.fpapreptec.com) and clicking on the link: Junior High 1:1 TEC program. Valentine's Day will be here in a few short weeks. It's soooo easy to grab a box of store-bought cards or a bag of candy but where's the fun in that?! 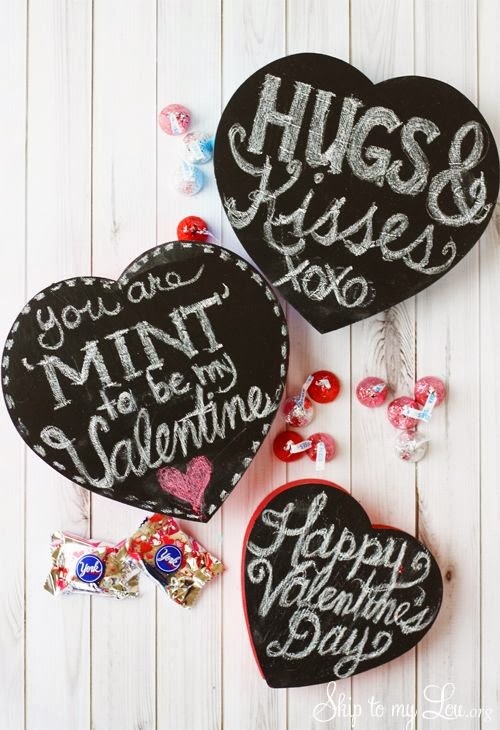 We love these make-at-home Valentines because they're simple, kid-friendly, and show so much more heart. Happy crafting! 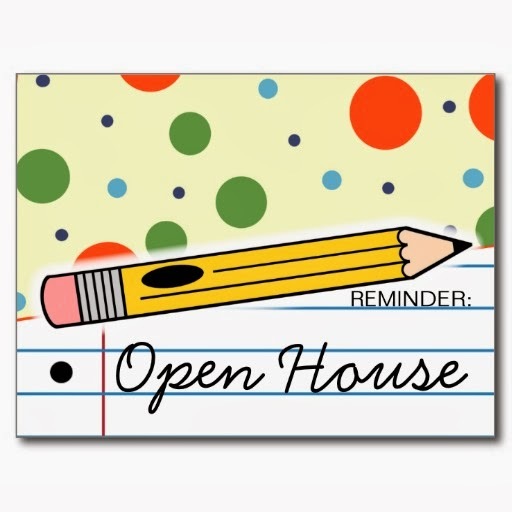 Open House season is here! That means it's time for students and their teachers to "show off" everything that has been going on since school started in the fall. No one loves Open House more than moms and dads who can't wait to be wowed by all of the incredible work on display. With that in mind, here are a few Dos and Don'ts to get the most out of your Open House experience. DO let your child guide you around the classroom and campus to any special displays or presentations. Pay special attention as he or she shares personal work with you. This is a precious opportunity to say "great job" and to reinforce the life lesson that hard work pays off. DON'T compare your child's work with that of his or her classmates. Every child is unique with his or her own strong suits. I know it's tempting to wonder out loud why your child's handwriting isn't as neat as Susie's, but now is not the time. If something really concerns you, schedule a conference to talk it over with your child's teacher. DO make a point of praising your child's teacher. Let him or her know how great the room looks and how impressed you are with all of the student work on display. Open House is a big night for teachers, who, in my opinion, don't get enough kudos for all that they do. Let your child's teacher know how much you appreciate his or her hard work in preparation of Open House and throughout the year. DON'T pull your child's teacher aside for an impromptu conference. You'll put the teacher in an awkward position and you won't get his or her undivided attention. If something is on your mind, plan to discuss it at a more appropriate time. DO visit other classrooms including the rooms of teachers in the next grade up from your child's current grade. This is a wonderful time for you and your child to check out what it's like to "move-up" to the next grade. You'll also have an opportunity to meet art, music, science lab and other specialty teachers and find out a little more about what goes on in these programs. DON'T forget to bring your camera so you can post some awesome pictures on Facebook the day after the big night! If you're like me, you have a few lonely gloves, mittens and socks hanging around the house whose mates are never likely to be found. 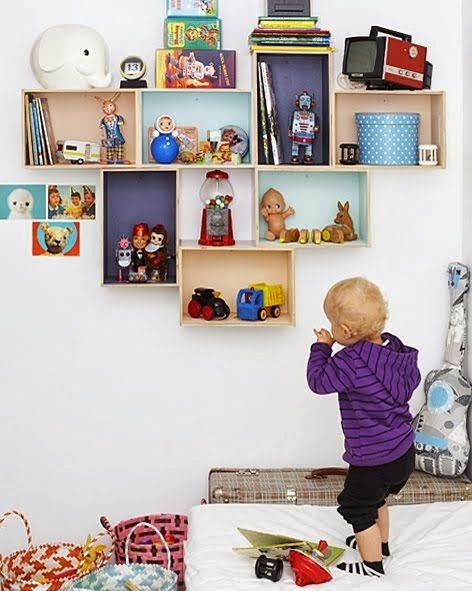 Cheer them up by re-purposing them into these charming stuffed animals. Find out how at Canadian Family with step-by-step photos and clear instructions. 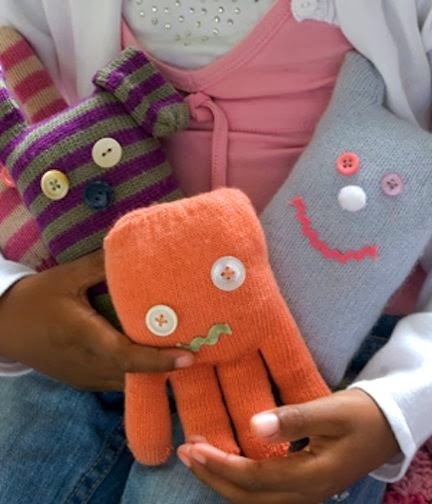 This is a great first sewing project for kids ages 5 and up. Oh, and don't forget to read The Mitten by Jan Brett (based upon a Ukrainian folktale) to extend the learning and bring some context to this cute craft! Getting sick when you're a kid is a part of growing up. On average, children have six to eight colds per year. 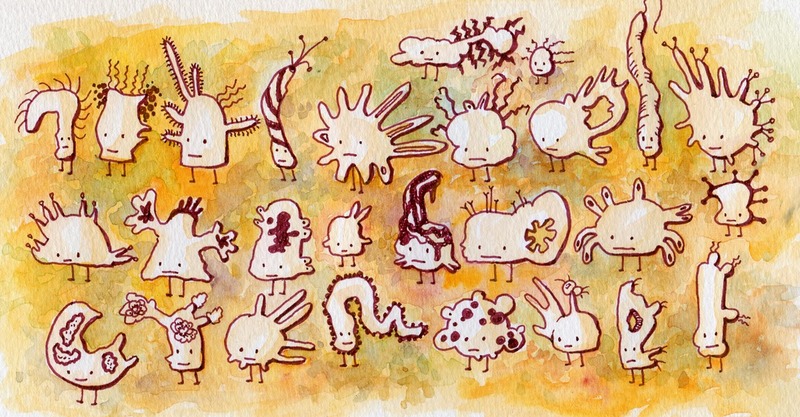 Children develop their immune system by battling a series of germs and viruses. But there are healthy eating habits children can adopt that may enhance their immunity. Eat colorful vegetables and fruits every day (the rainbow diet). Carrots, squash, broccoli, oranges, berries, etc. all contain immunity-boosting phytonutrients such as vitamin C and carotenoids. Phytonutrients may increase the body's production of infection-fighting white blood cells and interferon, an antibody that coats cell surfaces, blocking out viruses. Try to get your child to eat five servings of fruits and veggies every day! Add Probiotics and Prebiotics. Probiotics, such as Lactobacillus acidophilus or bifidobacteria, are living microorganisms that change the bacterial balance in the gut wall. Adding probiotics or prebiotics to children’s diets may have some potential in treating viral diarrhea, preventing antibiotic-associated diarrhea and boosting immune function. About 85 percent of our immune system is located in the gut or digestive wall. The type and amount of microbes in the gut flora can impact the forms of immune cells the body produces. Try fermented foods. Historically, cultured and fermented foods have a long tradition in many cultures and are found all over the world. Our ancestors somehow knew they were good for us! See below for an international cuisine of fermented foods that naturally contain probiotics. Sauerkraut, a traditional food of Germany, contains the probiotics leuconostoc, pediococcus, and lactobacillus. The spicy Korean dish, Kimchi, also contains sauerkraut. Miso, the fermented bean dish originating in Japan, reportedly contains antioxidants, B vitamins and more than 100 bacterial strains. Kefir, a creamy yogurt-like beverage that dates back to the shepherds of Eurasia’s Caucasus Mountains, contains both probiotic bacteria and some strains of yeast. Naturally fermented sour pickles, sourdough bread, and buttermilk also contain beneficial probiotics. Prebiotics, such as fructo-oligosaccharides (FOS), nurture and support the growth of probiotics. Foods such as banana, asparagus, oatmeal, and Jerusalem artichoke naturally contain prebiotics. Banana and yogurt anyone? Probiotics or prebiotics may offer some benefits to healthy children and infants, but they should not be given to children who are chronically or seriously ill or who have compromised immune systems. Cook with mushrooms. Mushrooms may strengthen your immune system because they are rich in antioxidants, vitamins C and D, and beta-glucans--a type of fiber with antimicrobial and antioxidant capabilities. The beta-glucans in mushrooms (especially Reishi, Shiitake, King Trumpet and Maitake) are notable for their ability to activate the immune system. On Tuesday, all of the third graders at the Anaheim Hills Campus attended a special presentation of Fairmont's history from guest speaker Mr. David Jackson, Fairmont's President. Mr. Jackson shared how Fairmont Private Schools has changed and grown with Orange County. This history lesson is especially important to the third graders because their Open House theme is Orange County History. Students learned words such as "entrepreneur" and "perseverance" and were left with a sense of pride about how much work and dedication it took for Fairmont to become the amazing school it is today.